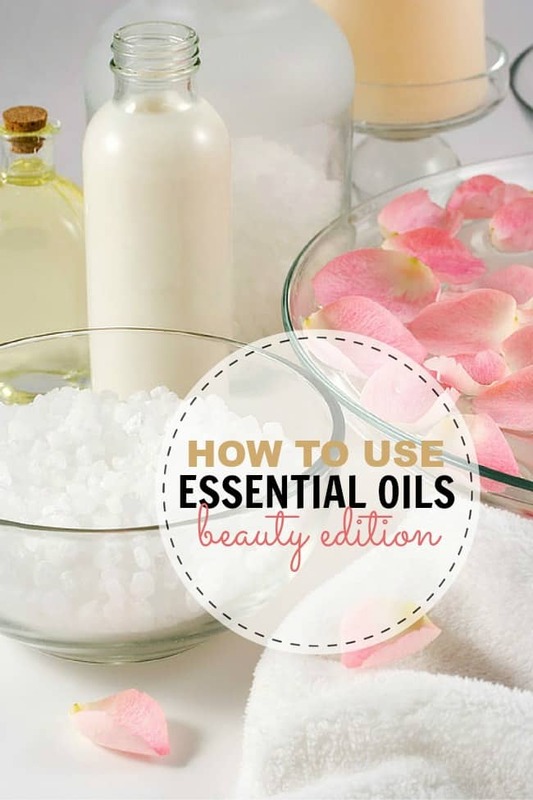 You may already be familiar with essential oils but if you are new to them I hope that you will find these Essential Oils for Beauty tips and tricks helpful. How to use Essential Oils for Beauty!! – Sugar Scrub: Mix in your favorite essential oil with a little almond or olive oil, rock salt, and sugar. – Perfume: I LOVE Jasmine. I just add a drop or two to my wrist and it creates the best natural perfume. Some other great essential oils for women are lavender and vanilla. If you are a man or have a significant other who would like this to try clove or even cypress. – Breath Freshener: Get rid of the stinky mouth by using a drop of peppermint on the tongue. If you don’t like taking your oils that way you can drop a bit on your toothbrush. – Teeth Whitener: Speaking of your mouth. Essential oils can help whitening your teeth. Combine coconut oil with lemon EO and rub on and rinse off after approximately two minutes. – Shampoo: Not only do essential oils add fragrance they are medicinal. For best results use a unscented shampoo (like baby shampoo). You can add essential oils such as cedarwood for itch relief or rosemary to increase volume. – Deep Conditioner: Mix approximately 5 drops of sandalwood, 5 drops of lavender and approximately 15 drops of rosewood to a carrier (like coconut oil) and allow to warm till dissolved. Apply to hair and allow to condition for 15-20 minutes. Shampoo as usual. – Acne Wash: Tea Tree (or Melaleuca) is great for helping with acne prone skin. If you have regular skin (not extremely sensitive) then you can take a cotton swab, add a drop of tea tree and dab it onto your breakout. Tea tree will dry out your skin so I would also recommend diluting with a carrier oil. – Strengthen Nails: Do you have brittle nails from all those manicures? You can strengthen them by mixing 10 drops each of Frankincense, myrrh, and lemon EO with 2 tablespoons of coconut oil. Rub onto each of your cuticles and repeat as often as possible. These are my favorite ways to add essential oils for beauty routines. There are so much more awesome ways to work in essential oils to your skin care and beauty products. If you have any other useful tips or tricks I would love to hear them or add them to the list. If you enjoy this Essential Oils for Beauty post then you might also like these posts on Essential Oil. Essential Oils for Sinus Problems! I’ve been hearing great things about essential oils lately. Great list of uses for them. Very helpful, thanks!